Those filing along with attorneys must acknowledge responsibilities under privacy and Data Protection to redact “personal identifier” detail on each occasion CM/ECF is accessed. 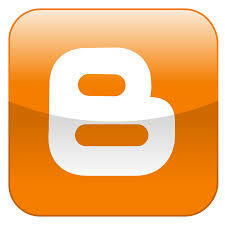 Further information on the privacy policies for Electronic Case Files is available via this link . Since 2014 the judiciary has transitioned the next generation CM/ECF. This Next Generation content management then being rolled out to a number of pilot courts. Thereafter, subsequently 2 of these courts in October 2014 commencing live operations (Ninth Circuit Court of Appeals and The Second Circuit Court of Appeals). There has been a full transition over a number of years. Court Records Schedule: National record disposition schedules govern almost all judiciary records. These court records include those created by the Federal Courts and maintained in paper or electronic case files. There are three records disposition files. Schedule 1: Covering records of The Court of Appeals, Circuit judicial councils, the former court of Customs and Patent Appeals, bankruptcy appellate panels, the former Temporary Emergency Court of Appeals and circuit judicial conferences. Schedule 2: Covers U.S. district courts records, bankruptcy courts, territorial district courts, U.S. Court of International Trade, Judicial Panel on Multidistrict Litigation and the Special Court, Regional Rail Reorganization Act of 1973. Schedule 3: Covers records of the Federal Public Defender organizations. 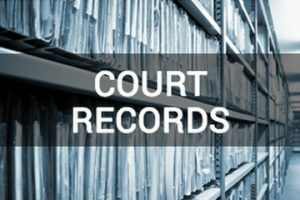 Records can be accessed by PACER (Public Access to Court Electronic Records) or alternatively by visiting the court house where the case was filed. PACER has had it’s detractors and in the past has been viewed as ‘out dated’ and costs questioned (US Court Records Pacer Faces Legal Test over costs). Anyone with a PACER account can perform a search and locate appellate, district and bankruptcy court case together with docket information with the PACER Case Locator. Records can also be accessed in the clerk’s office of the relevant court from the public access terminals. The majority of cases prior to 1999 are retained solely in paper format. These physical case files can be accessed from the relevant court or from a Federal Records Center. Records are also available by a telephone information system, otherwise known as Voice Case Information System. This system allows basic case information to be obtained by touch tone and is available 24 hours daily. Historical Court records: When case files and court records are deemed ready to be preserved permanently they are moved to the National Archives and Records Administration (NARA) for preservation and storage. These records can then be accessed from the NARA. FEES: While paper and electronic court records are free to view at the court house there is a fee of 10 cents a page if printed from the public access terminal and a maximum charge of $3 a document. To retrieve documents to view from The Federal Records Center a fee of $64 is payable. To view the Electronic Public Access Fee Schedule please follow this link.